If you're more style over sentiment however, recouping some cold hard cash back after digging deep for the dress of your dreams is that way to go - in fact you may even have been thinking about it as you're weighing up whether to purchase it in the first place. SellMyWeddingDress.ie - SellMyWeddingDress.ie is a dedicated re-seller of wedding dresses in Ireland, where brides can list their wedding dress by designer and size, and share photos of the dress for other brides-to-be to browse. Gowns on sellmyweddingdress range from €200 - €7500, and buyers can search by price, designer, size, silhouette, location and condition. There is a once-off payment of €24.95 for a basic listing on the site, while a premium listing will cost €34.95. Potential buyers can contact sellers through the site to arrange a viewing. DiscountDesigner.ie - DiscountDesigner.ie specialises in re-selling pre-worn high end designer wedding dresses, matching buyer to seller - sometimes internationally. Dresses on the site are priced at 50% of their RRP. In order to list your designer dress for sale, sellers simply fill out a form detailing the dress designer, size and the price they paid for it, and can upload photos of the gown directly to their listing. 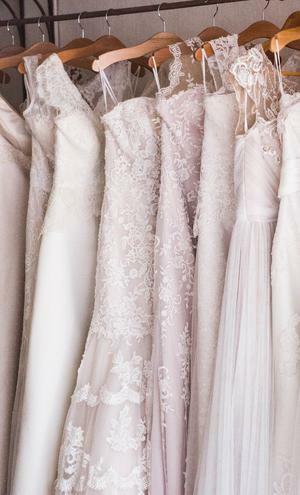 It costs €50 to list a wedding dress for sale. Online Classifieds - Sites such as DoneDeal.ie and Adverts.ie can be good spots for a little online car boot sale - including selling your dream dress. To sell a dress on one of these sites, sellers are required to sign up first, from there ads can be listed for free for up to 30 days, or can pay €1 for a regular ad or to be bumped up the search page. Facebook - Many local communities in Ireland have their own dedicated Facebook pages which can be a good spot and once it's in the group's rules, popping your wedding dress up there could be a good way to get it seen. Even if a local bride-to-be may not pick it up, it could be shared by others for a friend further afield. Related: Is it bad manners to sell your bridesmaid dress after the wedding (and do you tell the bride)? Vintage stores - If your dress was a very unusual or vintages style (bridal jumpsuits and separates will work here) bring it along to your local vintage store and see if they are interested in purchasing it from you. You may be able to strike a deal where they stock your dress for a few weeks and it it is not sold, give it back to you, however this is all usually done on an ad hoc basis. Even better would be to enquire with them before the wedding so you've something else ticked off the list for after! If you would like to see your wedding dress getting a second outing, but aren't too concerned about making money yourself from it, a wonderful thing to consider is donating it to a charity shop to sell on to another beautiful bride. While Irish charity wedding dress stores actually get most of their stock directly from designers and bridal boutiques, they can also take donations from patrons directly. 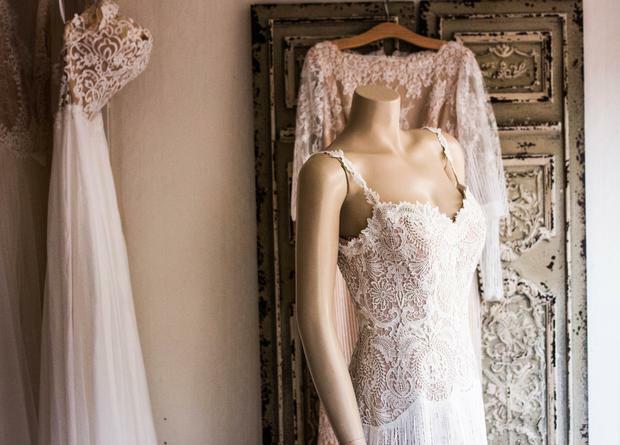 Three to consider are: Barnardos Bridal Rooms in Dublin's Dun Laoghaire and in Carlow and Oxfam Bride which has shops in Dublin and in Bangor, Co. Down and St Vincent de Paul on Terenure Rd North, Dublin. Angel Gowns for Angel Babies is another very worthy place for your wedding dress to be passed on to. Run by a team of seamstresses, the Shannon Angel sisters transform old wedding dresses into tiny gowns for premature babies and those tragically stillborn. The Shannon Angels currently have several dresses they're working on, and don't need donations immediately, however if you keep an eye on their Facebook page you can find out when they require any more. *Have we missed something? It happens. 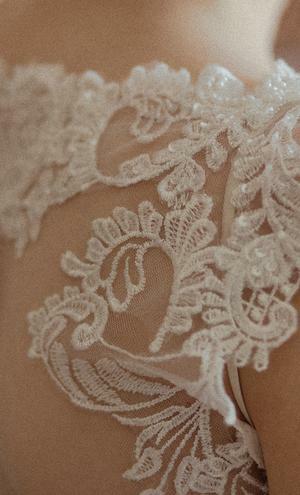 Let us know how you sold your wedding dress on over on our Facebook page!